Remember this beauty? 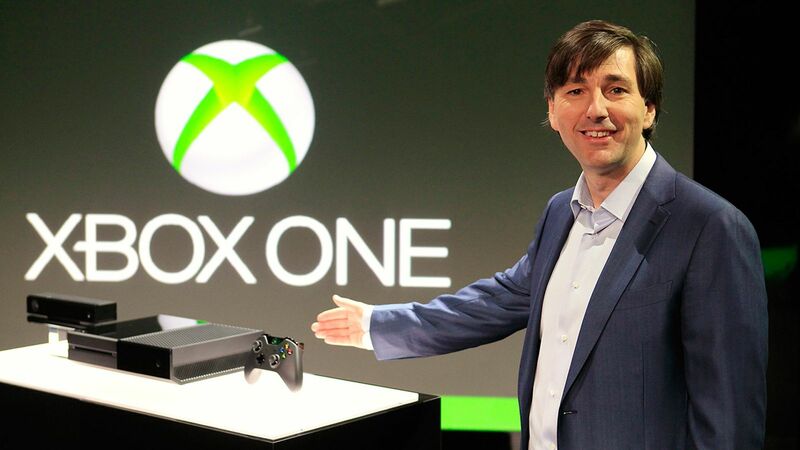 Why, it's the old Xbox One! And here's her old pal Don what's-his-name. They are here to sell you a classic at an attractive price. It comes with a full warranty, a platform exclusive, the works. The only thing missing is that new-car smell. Mmm. Groupon started up a sale on its warehouse full of Xbox One consoles bundled with Halo 5: Guardians Limited Edition. This combo usually goes for around $199.99 as a factory refurbished deal (warranty from Microsoft). Today Groupon is aiming to dump more units by discounting it further to $169.99. Here's the kicker. "New" customers with new accounts (and billing info) can use code DEAL25 to knock $30 off this Groupon Goods deal, making it only $139.99 for an eighth-gen console at a tempting price. Update: Unsurprisingly sold out on the $139.99 model. Here's why this deal is so good. At this point Groupon is just shipping the older unsold Xbox One. They may come as refurbished, but if you're lucky, your Xbox One is essentially new and has never been activated. This means you'll receive the full 12 months warranty. Barring that, you'll get the standard 90-day Microsoft warranty. Thanks to the holiday season, your purchase also automatically qualifies for the extended holiday return guarantee. Anything bought between November 1 and December 25 can be returned before January 14. While without the coupon the deal is decent/good, the real meat is in the $30 discount. If you've never been a Groupon customer before, you're golden. Just sign up for an account, checkout, and the console will be shipped free to you. If you need to be a "new" customer, make sure you use a different email address and billing info. That means a different payment method than what you have in Groupon, and a different billing address if possible. While there will be plenty of Xbox One S deals next week, we think for the older Xbox One this is as good as it'll get at $139.99. You'll get one of the exclusive titles right out of the gate and you won't have to deal with the shopping day chaos. Plus if little Timmy hates this gift because it isn't the VR bundle he was hoping for, you can at least return the unit well after Christmas. Or you can just punch him in his little mouth and keep the console. Whatever.